You could, I suppose, use a cheese press if you possess such an item, but squeezing tofu of excess water can be achieved by cobbling together something along the lines of the arrangement you see in the above picture. Basically, I have placed a one pound block of firm tofu in a shallow dish and put another heavier dish with some cans for weight on top. I have also used a stick under one end of the bottom dish in order to make a slight incline that will permit the squeezed water to run off. The process will take an hour or two depending on the weight and the only real caveat is to not use so much weight on top that you deform your block. Once you slice your block into appropriate pieces for whatever recipe you are following, you should further dry the slices by wrapping them in paper towel for 15 minutes or so. You can further enhance this process by placing a can of food or some other weight on top, if you like. Indeed, you can even press individual pieces this way without having pressed the original block to begin with. 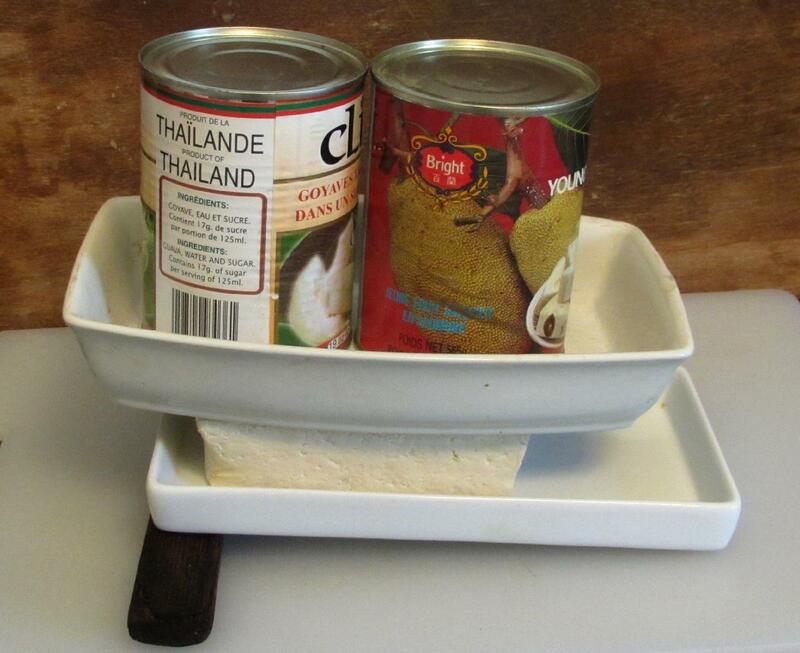 Not all recipes require the tofu to be pressed (adding cubes to soup, for example), while others only require minimal pressing. For some preparations, however, where you want to deep-fry to crispiness, a good, thorough pressing is essential. 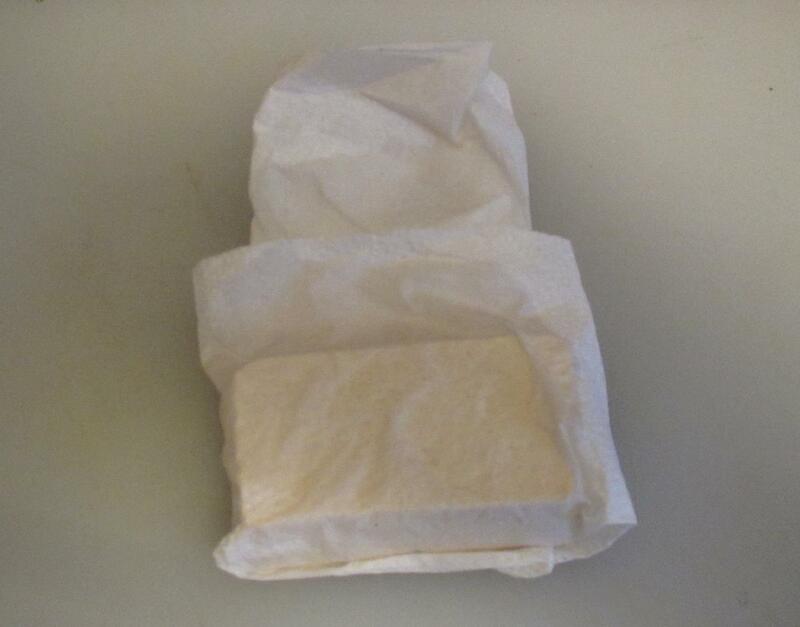 Altho’ I use a lot of tofu [mostly the firm variety] I have oft extracted extra water from it by wrapping it in paper towels but simply have to try your very easy methodology for an extra touch! Deep frying is not one of my modes of cooking [ 🙂 ! ] but grilling [methinks you call it griddling] and stir-frying are: methinks a short ‘spell ‘ might give a differing consistency!! Interesting – shall look forward to reading! Whoa! I never thought about doing this by myself but it makes ridiculous sense now that I see it. So basic, but I didn’t think of it! A great method!